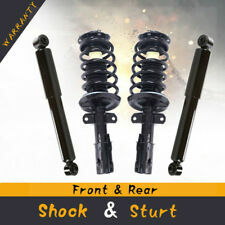 "KYB Shock Absorber and Strut Assembly --. KYB – GR-2/EXCEL-G STRUT ASSEMBLY SET. 4 Strut Assemblies. Series : KYB GR-2/Excel-G. Notes FWD, Location : Front and Rear, Driver and Passenger Side. Location : Left or Right, Front, Rear. "Gabriel Shock Absorber and Strut Assembly --. GABRIEL – ULTRA SHOCK ABSORBERS AND STRUT ASSEMBLIES. Series : Gabriel Ultra. Type : Shock Absorber. Notes Location : Rear Driver or Passenger Side. Location : Left or Right, Rear.